As online competition continues to grow with companies like Amazon, it is critical for merchants to focus on elements of their business that uniquely define why the customer should choose them over anyone else. One thing that can set a business above the rest is an excellent customer experience. Often, a positive customer experience can go beyond monetary value by promoting loyalty, larger transactions and repeat business. While customer experience can involve many different aspects, one of the most important is the activity surrounding payment and checkout. Today, in addition to merchants providing unfaltering security of their customers’ data, a positive customer experience during checkout involves fast and secure payment with one click, swipe or tap that ideally takes place anywhere in the store. Tokenization replaces confidential customer credit card information with a string of random numbers so that no one, neither businesses nor criminals, have access to it. A token represents the customer’s card in a transaction and is only translated back to real data once it reaches the safe confines of the payment processor. At checkout, rather than collecting and storing a consumer’s confidential data, such as a PAN (Primary Account Number – also known as a credit card number) or bank account details, the terminal issues a token that looks like a string of random digits. This string of digits means the customer’s confidential information is never seen by the business. The algorithms that convert a PAN into a token are virtually impossible to decrypt, making the tokens worthless to a hacker or thief. The customer’s real account information is held by the payment processor in a secure token vault for decryption at the end of transit. Tokenization is a secure and convenient way for merchants to speed up the checkout process while keeping vital data safe. One way to simplify this process even further is by allowing a group of separate merchants to store a customer’s tokenization information. Take franchises, for example; a customer who purchases a specific brand of food for her pet might join a loyalty program at the local pet food outlet, which allows payment to be made with one click or wave of a card while gaining loyalty points for a reward. When the customer finds herself in a different part of town, she can visit the local franchise to enjoy the same benefits, enhancing her customer experience. Multi-Merchant Tokenization isn’t just for franchises. Any group of legally separate merchants can participate, such as a dry cleaners, hairstylists and fast-food outlets, all who could also pool loyalty rewards to encourage customer participation. Merchants need to utilize every possible outlet when attracting customers. By combining the security and convenience of Multi-Merchant Tokenization, merchants offer shoppers another reason to choose their business over the competition. Juan Pablo develops products for Clearent’s Quest Payment Gateway. He has 7 years of experience in product management and entrepreneurship. He enjoys reading books about product development and business. In his spare time, he spends time with his wife and friends, and plays sports like soccer and tennis. 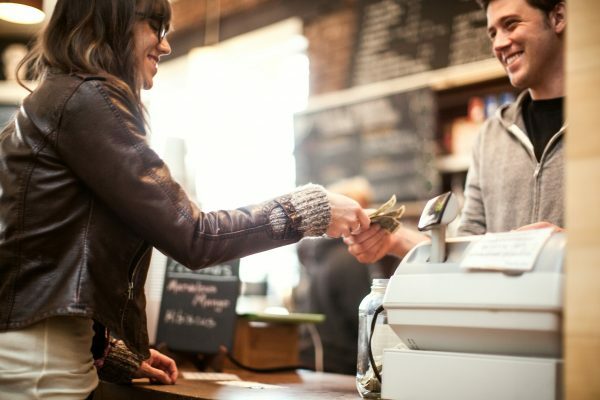 Merchant Financing vs Cash Advance: Which is Right for You? Tokenization and encryption are security technologies that help you and your customers achieve or eliminate PCI compliance. Download our Tokenization vs. Encryption Cheat Sheet (2-minute read) to learn the key differences including the best use cases for each technology.